CASSIDY RED Official Trailer from Matt Knudsen on Vimeo. The World Premiere of the feature film “Cassidy Red,” a Western ballad of love and hate, written and directed by Matt Knudsen, a UCLA MFA student—starring Abby Eiland (“Criminal Minds,” “Life on Mars”), David Thomas Jenkins (“Girl Meets World,” “CSI: Miami”), Jason Grasl (“Hot in Cleveland,” “White Collar”), Gregory Zaragoza (“The Sopranos,” “The Last of the Mohicans”), Jessy Knudsen, Rick Cramer (“True Blood,” “Live Free or Die Hard”), and Lola Kelly (“The Grinder,” “The Fosters”). The film screens as an Official Selection in Competition Features at Dances With Films on June 2 at 7:15 p.m., at the TCL Chinese Theatres (6801 Hollywood Boulevard, Hollywood, California). Set against the backdrop of the 19th century American Southwest, the story follows “Josephine Cassidy,” the headstrong daughter of a prostitute and gunslinger, who returns to her hometown seeking vengeance against the corrupt lawman she believes murdered her lover. The 92-minute film was shot at Old Tucson Studios (a historic location home to dozens of John Wayne classics) in Southern Arizona. Knudsen’s inspiration was the Spaghetti Westerns of his personal hero, the famed Sergio Leone, and the result owes much to the Italian classics he grew up watching. With the recent successes of Quentin Tarantino’s “The Hateful Eight,” Antoine Fuqua’s remake of “The Magnificent Seven”, and HBO’s “Westworld,” Knudsen has tapped into a nostalgic desire for the genre at a key moment. This love letter by Knudsen to the Western takes the audience on a journey through the American Southwest where two brothers fall for the same woman, resulting in a deadly love triangle. The film is produced by Brooks Yang. It was shot by Director of Photography Julia Swain. The original soundtrack by Andrew Carroll (lead singer of Los Angeles indie folk quintet The Lonely Wild) is available on Amazon and iTunes and features 70 minutes of original music. For tickets to the World Premiere, please visit: danceswithfilms.com/cassidy-red/. 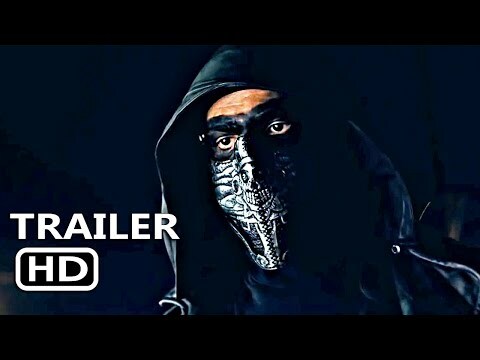 For more information about the film, go to: cassidyred.com/. 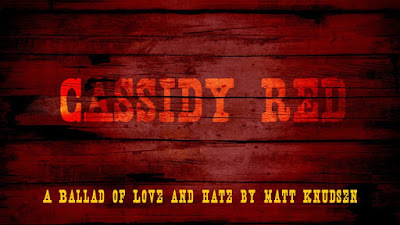 “Cassidy Red” is a western fable chronicling the existential struggle of protagonist Josephine “Joe” Cassidy (Abby Eiland), the daughter of a prostitute and a drunken gunslinger. When she is led to believe that her Apache lover, Jakob Yazzie (Jason Grasl) has been murdered by her scornful ex-fiancé, Tom Hayes (David Thomas Jenkins), Joe immediately seeks retribution. But when she returns to her hometown at the southern edge of the Arizona Territory, she not only finds Tom to have installed himself as the dictatorial local sheriff, she also discovers Jakob to be alive and incarcerated. With nowhere else to turn she enlists her estranged father Cort Cassidy (Rick Cramer) to sharpen her quick draw skills as she prepares for the impending showdown. Torn between love, hate, loyalty and vengeance, her path to satisfaction spirals out of control. Soon Joe and Jakob are back together but behind bars. Awaiting execution, the lovers must find a way to escape, shoot their way out of town, or face the hangman's noose at dawn. The final lineup for 2017 features more than 160 titles, chosen from a record 2,100 submissions from all over the globe. The juried narrative competition section includes 16 features, 13 of which are world premieres, and nearly three-dozen shorts. DWF also has a category for groundbreaking short and feature documentaries, provocative genre fare in the Midnight section, and the most exciting music videos and dance-themed films from the indie scene in the Downbeats section. The Fusion section brings together a multitude of additional features and shorts. DWF will run June 1-11, 2017 in Los Angeles, CA at the TCL Chinese Theaters, located at: Hollywood & Highland, 6801 Hollywood Blvd, Hollywood, CA 90028.